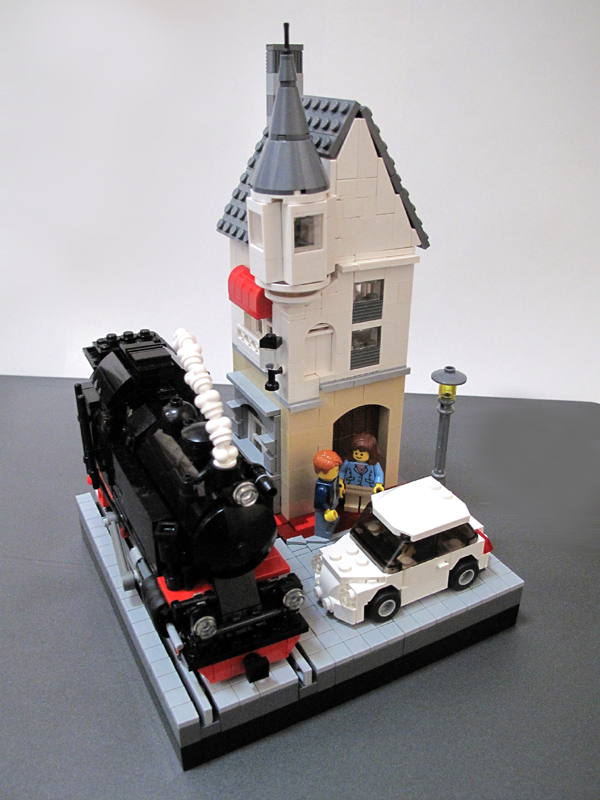 Brick Town Talk: A Little Smaller Now - LEGO Town, Architecture, Building Tips, Inspiration Ideas, and more! I like the look of this. I'm not sure if it's very safe to have a train that close to a building, but hey, who cares? It's a good little vignette. Definitely! It's a great little model, I wish it was a set!